Can the $200 Oculus Go make virtual reality mainstream? 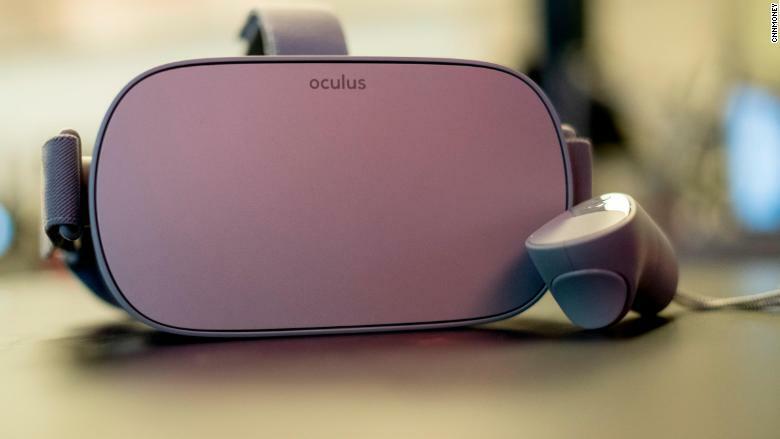 Facebook wants to take virtual reality mainstream, and it hopes its new headset, Oculus Go, could be the product that helps makes that happen. 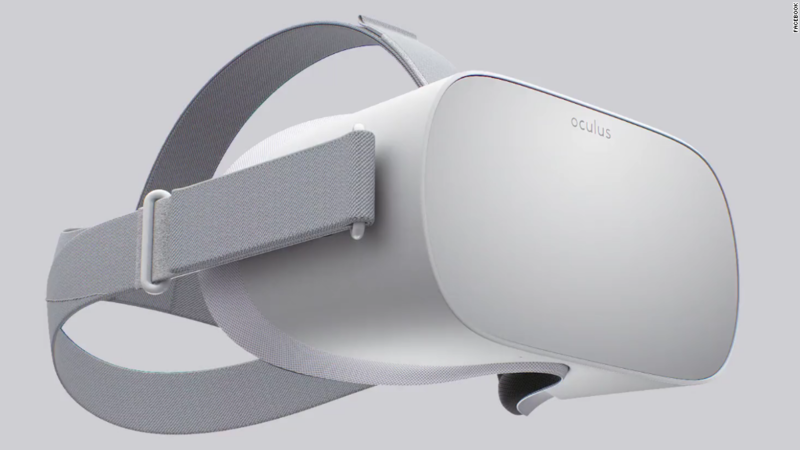 The Oculus Go is Facebook's first standalone headset. It's sleek, it's comfortable, and, most importantly, it costs just $200. Most VR systems cost at least $500. The standalone device makes for a more seamless experience than the flagship Oculus Rift or other high-end VR systems. It doesn't need cords, an expensive PC or a specific smartphone. The headset is made of a breathable mesh fabric, has a vibrant display and built-in speakers, so you don't have to use headphones. It even comes with a special eyeglasses spacer, so I could play comfortably with my glasses on. Soon, you will be able to order special prescription lenses for the headset for $80. The interface is easy to use, even for someone who isn't a frequent VR user like me. You can browse Facebook, watch 360-degree videos, play your favorite Netflix shows or buy 3D movies. It's comfortable to wear for extended periods of time. Overall, the visuals were smooth and crisp, although some of the 360-degree videos I watched -- especially those taken with smartphone cameras -- were lower quality. Social will be an important part of Oculus Go. The company has revamped its Rooms app, which lets people make a custom environment and create an avatar of themselves. Oculus owners can invite their friends to visit their room, play tabletop games such as Boggle, watch movies together or share photos from their phone. Facebook is also emphasizing its Venues feature. You can watch live events, such as Major League Baseball games, stadium shows from artists like Vance Joy, and standup events like Gotham Comedy Club. I wasn't able to test this feature -- the first live event won't happen until May 30. The Oculus Go has plenty of room for improvement. Its library of 1,000 VR experiences pales in comparison to the near-infinite amount of content available on smartphones or gaming consoles. Another potential drawback is that the Go has a so-called "3DoF" controller, which can only tell if you move your head up, down or side to side. More advanced VR headsets have 6DoF controllers, which offer a more immersive experience and cut down on motion sickness, according to analysts. The battery life could also be a problem. Oculus says you can expect about one hour of battery life for gaming, and about two hours for watching TV or other entertainment. The Oculus Rift doesn't need to be charged, because it's plugged in to power. Virtual reality hasn't yet taken off with consumers. Only 4% of internet users around the world owned a VR headset at the end of 2017, according to analytics firm GlobalWebIndex. Is the Oculus Go enough to fuel consumer adoption of virtual reality? Experts have mixed opinions. "I don't think all of a sudden [this device] will change the market," said Victoria Petrock, principal analyst at eMarketer. "It may move the needle in terms of moving the technology toward something that is more mainstream. The fact that it doesn't have to be tethered to anything is a big plus." Anshel Sag, ‎an associate analyst at Moor Insights & Strategy, was more upbeat. "I really think [Go] will bring VR much closer to the mainstream, if not kick off the beginning of mainstream usage for VR," he said. "At $199, it's a very palatable price for a lot of people." The Go's success could ultimately come down to the content. If developers can deliver valuable and entertaining experiences, it could be an appealing gift for the 2018 holiday season.